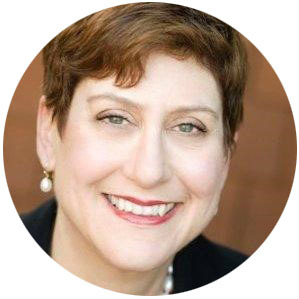 Liz Guthridge is a leadership coach and consultant with a background in applied neuroscience, behavior design and mindful communications. She works with leaders to shape their organizational culture through building better habits. As a senior coach and consultant at the telos institute, Liz helps clients change how they act using a positive, strengths-based approach. With her support, clients gain greater clarity about their purpose, goals and behavior, and are better positioned to lead change with their employees. Leaders as well as employees are able to think more clearly and increase their working memory, which improves their ability to collaborate better and work more efficiently. Earlier in her career, Liz was a principal with the organizational change firm Mercer Delta as well as the HR consulting firms Mercer and Towers Perrin. Her recent clients include BASF, Bayer HealthCare, Central Garden & Pet, Centrus Energy, Clorox, Mallinckrodt Pharmaceuticals, and Vencore. Liz earned an MA in communication management from the University of Southern California, an MBA from the University of Connecticut; and a BSJ in journalism from Northwestern University. She completed an Executive Masters in NeuroLeadership as well as received a coaching certificate from the Neuroleadership Institute. She also completed the Institute’s brain-based facilitation program. In addition, Liz has studied behavior design and Tiny Habits® with Dr. BJ Fogg of Stanford University. In 2014, Liz moved across the country from the San Francisco Bay area to Charleston, SC with her husband and dog to be closer to family. In her free time, she loves to read, ride her bike around historic Charleston, and serve as a mentor for college students. She and her dog Marcel also work as a therapy pet team visiting hospitals and nursing homes.